Capital Machine is committed to the concept of providing “Value-Added” services to every machine we recommend. Our ability to provide factory-trained, professional Service Engineers and Customer Service Representatives to our customers is paramount to our core strategy. Our list of services includes Installation Supervision, Operator Training, Programming Training, Maintenance Training, Preventive Maintenance & Repair Services. By having our staff strategically located throughout the region, Capital Machine provides more service and support than any other vendor. In fact, no other competitor even comes close. In addition, our Service Vans contain critical parts inventory in order to correct and repair most machine problems. Be sure to compare Capital’s capability to support your needs with any other potential vendor and you’ll see why Capital has grown so dramatically. Capital’s service coverage is unequaled in the industry. To ensure that we are able to provide the fastest possible response times, Capital maintains a fleet of service vans, each strategically located to serve our customers as efficiently as possible. Additionally, each of our service vans carries an onboard supply of many common parts which means our technicians may have the parts necessary to get your machine back into production quickly. Capital also stockpiles a large supply of parts in our warehouse in Tampa to reduce the possibility of parts availability issues from the manufacturers. Each service call is treated with the same priority. Whether the machine is in or out of warranty, Capital is committed to a “First Call Fix” program designed to motivate everyone to expedite the repair quickly and effectively. The map below illustrates our service coverage area. Properly maintaining your equipment improves not only the machine’s performance but also has a significant impact on minimizing reliability problems. Keeping your machine running, and running efficiently, increases your bottom line. While many companies have all the best intentions for implementing preventative maintenance programs, few actually take the necessary time or steps to implement such programs. During the initial installation and training process, Capital’s Service Engineers always review these procedures and emphasize their importance. For many companies, this may be sufficient – for others, much more may be required. Capital Machine offers customized Preventive Maintenance Programs for those companies that understand the need for Preventative Maintenance Programs but do not wish to implement such programs themselves. For more information about our Preventative Maintenance contracts, please call our Customer Services Supervisor, Greg Ott. With many years in the machine tool industry, Greg can often help you resolve your problems right over the phone, without the need for dispatching a Service Engineer to your facility. Greg’s vast knowledge base has saved our customers thousands of dollars. Of course, if it becomes necessary to send a technician to work on the machine, Greg communicates with them to make sure the job is done quickly and accurately. A Foundation built on SERVICE! Capital’s growth is based on quality products and continued investment in customer service. Today, we offer the largest dedicated service staff of any metal fabrication equipment distributor in country. In fact, more than all of our competitors combined. No wild claims, just the facts! 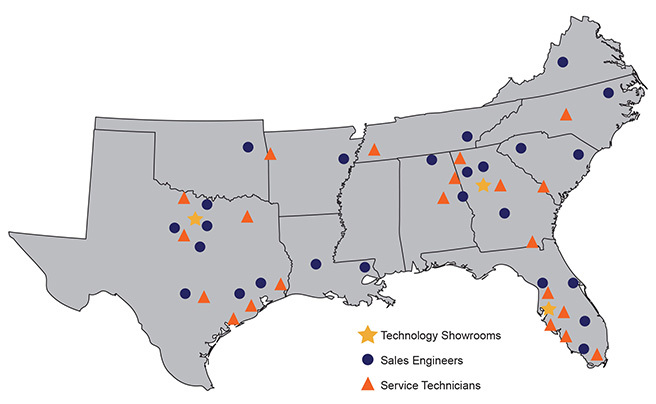 Our service engineers are factory-trained, full-time employees dedicated to service only. They are strategically positioned throughout the south to provide timely service. Capital also incorporates a First-Call-Fix incentive program which maximizes efficiency of our entire service team. Our group has exceptional experience with many members logging over 10 years’ experience with Capital Machine®. We offer Installation Supervision and training programs. By having our staff strategically located throughout the region, Capital Machine provides more service and support than any other vendor. In fact, no other competitor even comes close. While some companies charge extra for training and offer off-site training, we can provide training on everything that we sell. 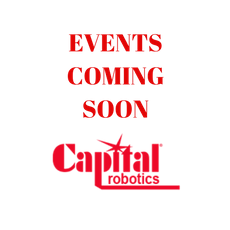 Capital can also provide follow-up training programs either in your plant or at one of our Technology Showrooms. Capital Machine offers customized Preventative Maintenance Programs for those companies that understand the need for Preventative Maintenance Programs but do not wish to implement such programs themselves.